JRPG Jungle: Yukiko and Yosuke Persona 4 Arena Ultimax Videos + Another Challenger Comes To The Game in DLC! Yukiko and Yosuke Persona 4 Arena Ultimax Videos + Another Challenger Comes To The Game in DLC! Fans looking forward to Persona 4 Arena Ultimax may have a lot to look forward to in the next coming weeks. Right after the release of Persona Q, we were treated to character trailers for Persona 4 Arena Ultimax. I suspect they may release a bunch of trailers to get us all hyped for the release, much like they did for Persona Q, which would be awesome! Speculation aside, here are the videos! *These are quotes from Yosuke and Yukiko's shadows at the end of their trailers. Translation is with thanks to Siliconera's original article. Speaking of new Persona characters, a new character has been added to the game via DLC. 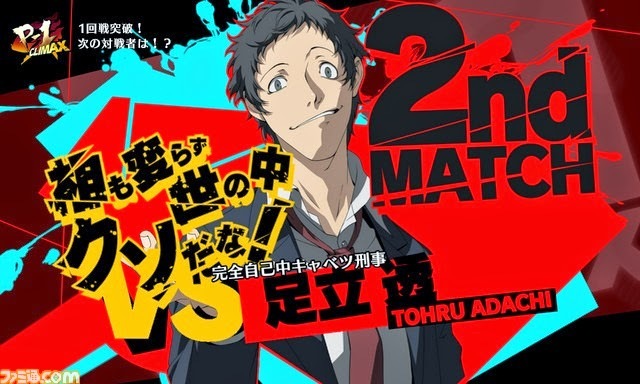 Ladies and gentlemen, the latest Famitsu magazine has revealed Tohru Adachi will be in Persona 4 Arena Ultimax. 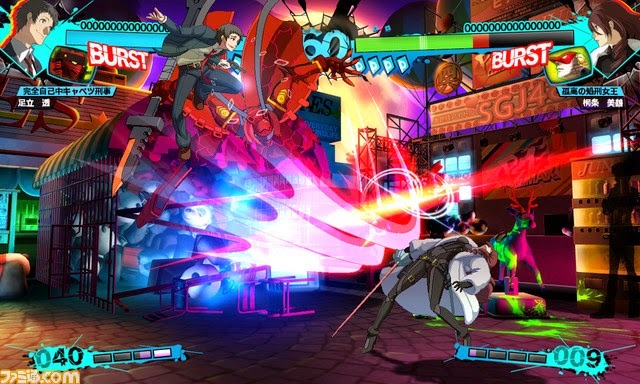 He will feature in DLC, complete with a playable character, his Persona Magatsu-Izanagi and his own story chapter. You can pre-order your copy of Persona 4 Arena Ultimax (like I did!) for PS3 and Xbox 360 from Amazon.